Last week, I made my way northwards to visit Dalmore Distillery, as part of celebrations to mark master blender Richard Paterson’s 50 years in the whisky industry. The distillery is perched on the beautifully rugged banks of the ever-changing Cromarty Firth. Previously a hub for the oil and gas industry, many rigs are now floated into these waters at the end of their life for decommissioning. Now, the renewables industry is a more common sight, with wind turbines dotting the landscape. In contrast to this evolving countryside, Dalmore has been a constant presence since 1839 – producing some of the best whisky in the Highlands. But the distillery’s history actually stretches right back to the 13th century. Dalmore Distillery’s iconic stag emblem harks back to 1263, when Colin of Kintail, Chief of the clan Mackenzie, saved King Alexander III of Scotland from being gored by a charging stag. To show his gratitude, the Kings granted Colin the right to use the 12-pointed Royal Stag as the Mackenzie clan crest. Fast-forward to 1839, when the distillery was established by entrepreneur Alexander Matheson. After 28 years, he decided it was time to pass the distillery onto new owners, with Andrew and Charles Mackenzie taking over the lease. As members of the clan Mackenize, they brought with them the now iconic Royal Stag, which adorns every bottle. The site itself is quite tight, with most of the unglamorous functions, such as vatting and cask filling, fulfilled at Whyte and Mackay’s site in nearby Invergordon. Malting took place at the distillery until 1982, with barley now coming from Inverness. But despite its small size, it still packs a punch. Behind its doors, Dalmore is home to eight stills – the number was doubled from two to four in 1874, and from four to eight in 1966 – producing 4.2 million litres a year. On entering the still house, I got a peek into the top of one of the spirits stills, which all sport water coolers around their neck. This assists with reflux, which in turn helps to improve the quality of the final product. I also spotted that one set of still was larger in the other three. Distillery manager Stuart Robertson explained that the different stills end up creating spirits with different characters. To iron out any inconsistencies, all the spirit is vatted together before being casked. We finished up our tour in Warehouse No. 4, which is considered Paterson’s playground. Here, some of his most adventurous creations are slowly, but surely, maturing away. But the casks here are just a small cross-section of the distillery’s 70,000 casks, which have any estimated value of £2bn (!!!). The vast majority of Dalmore whiskies spend their time in ex-bourbon casks, followed by ex-sherry casks. But, over his five decades in the industry, Paterson has mastered the use of many different other casks types – including his other great love in life, red wine. With the company ping-ponging between many different owners since the 1970s, Paterson has been the one constant, and this is evident in The Dalmore’s final product. As you’ll imagine, I had the chance to taste some of these fantastic whiskies, and we’ll take a look at them later in the week. 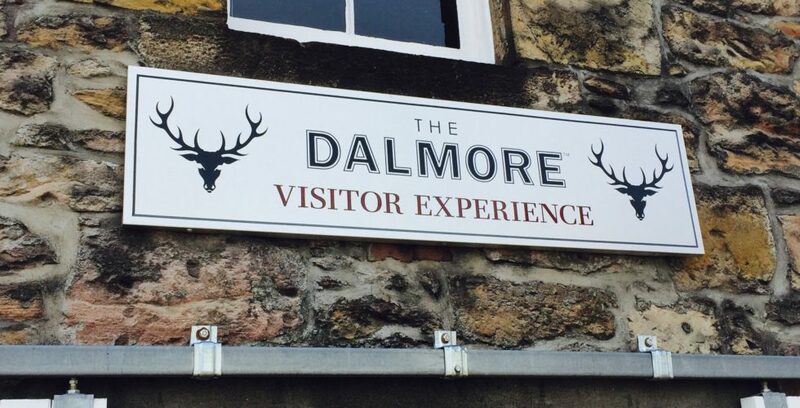 For more information about visiting Dalmore Distillery, visit its website. 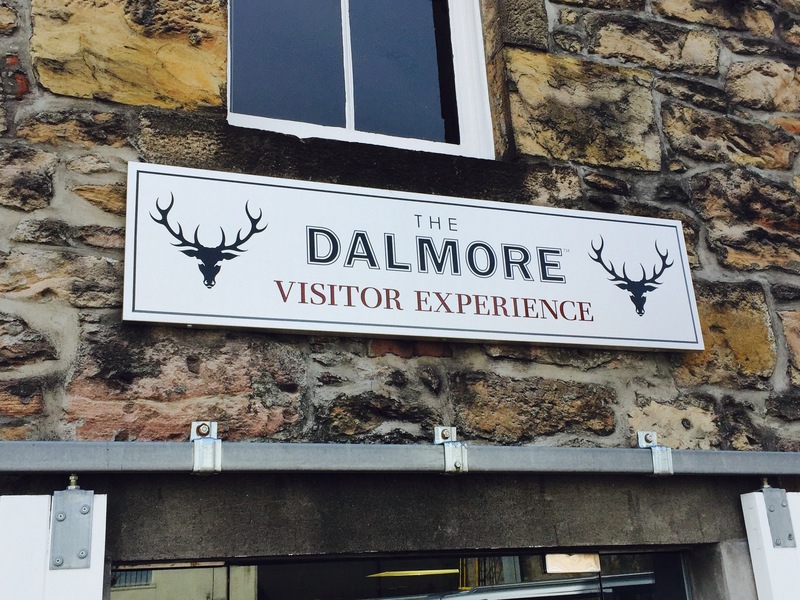 My trip was organised and paid for by Dalmore.